Yacht Sales Professionals (YSPs) are brokers, dealers, and salespeople nationwide who have a benchmark for measuring their skills, abilities and performance, while enhancing their marketing value. Boat sellers and buyers are in a better position to select qualified, competent sales professionals with confidence and trust. 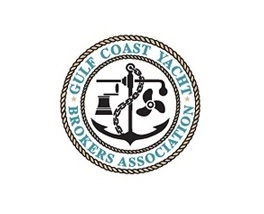 The Certified Professional Yacht Broker (CPYB) program has made this dream a reality. Thanks to the joint efforts of the Association Partners (see listing at left), over 550 YSPs have earned the CPYB designation, with another 100 applicants now preparing for the exam. Since 1999, the CPYB program has been the industry performance standard for yacht sales professionals throughout North America. A program Design Team of industry volunteers worked with the National Occupational Competency Testing Institute to define the industry’s body of knowledge—the key performance skills and knowledge required to be a Certified Professional Yacht Broker. The team then crafted the certification exam, comprised of over 150 questions, serving as the objective measurement of the applicant’s knowledge. Boat sellers and buyers are in a better position to select qualified, competent sales professionals with confidence and trust. Like many other industries, performance standards, professional training and recognition are essential tools for ensuring that the industry maintains aggressive performance goals and sound business practices. The Association Partners each have mandated Codes of Ethics, which provide the minimum standards for ethical YSP performance and which are mandatory for all those who desire membership in the organizations. 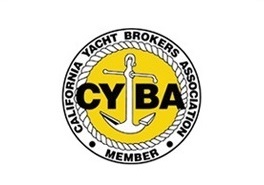 The CPYB program takes this process to a new level, providing a comprehensive method for qualifying eligible YSPs who have the necessary experience, skills and know-how to be recognized as a Certified Professional Yacht Broker. 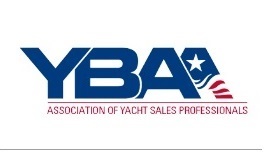 YBAA’s Guide for the Professional Practice of Yacht Brokerage & Sales provides a comprehensive study manual of the industry skills and knowledge essential to the profession of yacht sales. Based upon the CPYB body of industry knowledge, The Guide serves as the perfect preparation tool for YSPs planning to sit for the CPYB exam, as well as a valuable reference manual for yacht sales firms and for new entrants into the profession.